Congratulations to this year’s Outstanding HLTA of the Year Award 17/18 Winners:- North East – Highly Commended Helen Davidson, St Anne’s CE Primary School, Bishop Auckland Yorkshire and Humber – Winner Deborah Carter Austhorpe Primary School, Leeds North West – Winner Angela Spruce Hebden Green School, Cheshire. Want to know what to do next, who to contact and how to apply for Higher Level Teaching Assistant status. Read how HLTA North celebrates the successes of HLTAs throughout the region. Some of the ways in which HLTAs, are deployed in educational settings and the contribution they have made. 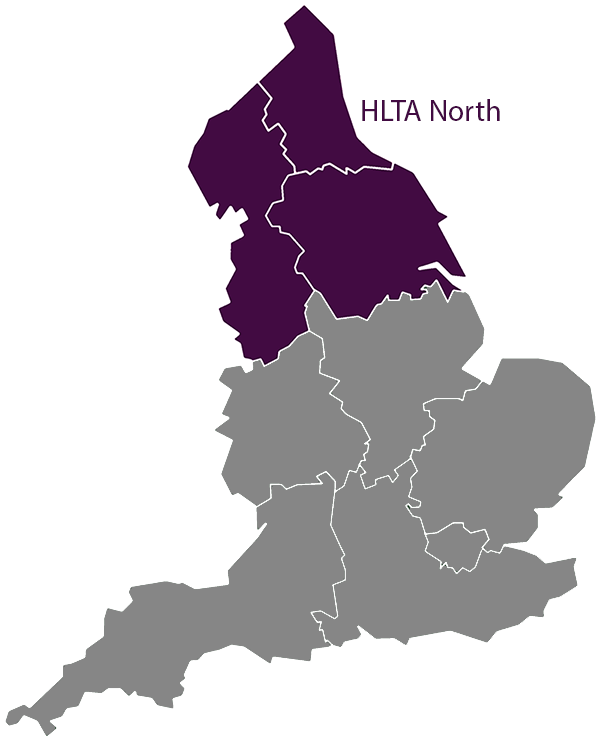 HLTA North is one of four Regional Providers of HLTA Assessment in England, covering three of the nine government regions: the North West, the North East and Yorkshire and Humber. We have a long and successful history of promoting HLTA status and managing HLTA Assessments; our current team of Programme Managers from the universities that comprise HLTA North – Northumbria, Leeds Beckett and Leeds Trinity – is strongly committed to continue, develop and build on this success. I found the whole process to be a positive and rewarding experience. My only regret is that I didn’t do it years ago. I also made a new friend on the course and we chat regularly. Thank you. I have been appointed to new post from September – EAL Mentor…my HLTA status definitely helped in the interview process, so thanks again. The HLTA status is something to be very proud of and a badge of honour which should be worn with pride. HLTAs are very special people who deserve recognition for all they give and bring to the schools they work in. I have my certificate, I’m so happy. My assessor came today and she was wonderful – the whole process was a wonderful experience and everyone is so, so kind and helpful. The assessor was great so easy to talk to – love it.